Marijuana and cannabis are often used synonymously as is hemp oil and CBD oil. But did you know that there is a vast difference between the two? Yes, these are all inspiring words, but there has been widespread misinformation that needs to come to an end. After all, this is the information age, and people want to know the truth about a product before buying it. Today, we clarify all the crucial differences between marijuana and derived hemp products as well as the plants themselves for whoever wants to know and understand the differences. When you read this to the end, you will get a pretty good picture of what marijuana and cannabis oil constitute and how it is different from hemp derived extracts as well as the differences in uses. If you think the difference doesn’t matter, here’s why it matters. So then hemp is marijuana with less THC content? And where is CBD in all of this? 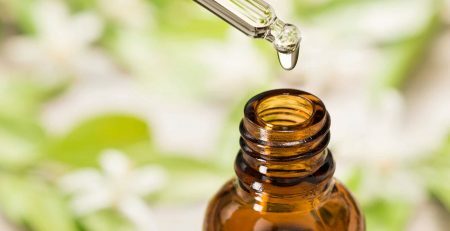 Can we have hemp oil with CBD? Is hemp male marijuana plants? Why does the difference between hemp and cannabis matter? You are not alone. It’s just so confusing at times. But it doesn’t have to be! If you are confused about the two plant subspecies, you are not alone since for decades cannabis aficionados like yourself have pondered over the same question of marijuana or hemp. Whether it has to do with composition, taste or the gender of the plants, today we will finally shed some light on the subject and give you everything you need to know to make informed choices regarding these two products. Perhaps the best way to answer some of your questions is to take a random guess of the most commonly asked questions and see if they are some of yours too and answer them for you. Even if you find something that you already, knew, don’t mind skipping to the next part since this guide is inclusive for everyone, even those who missed the cannabis 101 class. 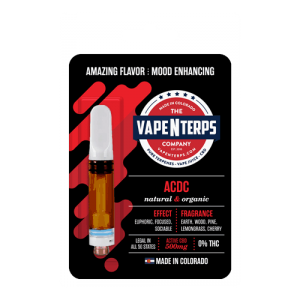 500mg ACDC CBD Vape Cartridge for $49.99! Let us start by setting things straight that that hemp is a member of the cannabis genus of plants which is more than just marijuana or pot. Incidentally, the hemp and marijuana plants are also of the same plant species under the genus cannabis called cannabis sativa. Now it’s easy to see why the line between these two plants is so blurry. But the key to understanding why these crops are so different is considering the three main cultivars of the species which mean the breeds that are existent and bred artificially for various purposes. These include industrial hemp, varieties grown for seeds and active cannabinoids cultivars grown for their medicinal value and recreational pot. Though not strictly speaking, we can say that the first two subtypes of weed are hemp plants and the third that contains the psychoactive THC is the pot that makes you high. So in short, medical marijuana and hemp are two plants of the same species but bred and grown for different purposes. So where do we draw the line? How can we know for sure whether we’re looking at hemp or cannabis? But how do we tell cannabis (here referring to medical marijuana with THC) from hemp plants? The grey areas in the law about the growth and use of hemp plants are there for a reason. The two strains are near similar, but legally, most countries will define hemp as the same cannabis sativa plant with THC levels less than 0.2%. In the US this level is higher at 0.3%, and therefore hemp companies in the US have somewhat of an advantage as compared to their European counterparts. Again, the answer is more complicated than that. That is a sloppy definition because the industrial hemp plant and cannabis can seem like very different plants by appearance alone. They smell and react differently to growing conditions than marijuana plants. For instance, while the marijuana plant tends to be short and stalky and somewhat challenging to grow requiring close attention, hemp grows wildly and rises to a greater height with skinny leaves and scanty branches. Also, CBD will grow tightly packed while marijuana would require sparse growth and lots of care to get it right until the crop rises to full potency and reasonable yield. As for the flowering time, the marijuana plant flowers in about 90 days while hemp takes much longer coming in at up to 120 days. These two crops cannot share an open-air neighborhood in adjacent farms. If marijuana gets in contact with pollen grains from hemp plants the whole crop is destroyed. The growth cycle of marijuana tends to be 45–90 days. Marijuana is sensitive in a significant instance: if a marijuana plot is exposed to hemp pollen, the whole crop can be destroyed. So if you are thinking about growing some industrial hemp in your backyard make sure your next door neighbor is not into cultivating Maryjane outdoors. Better safe than sorry uh? 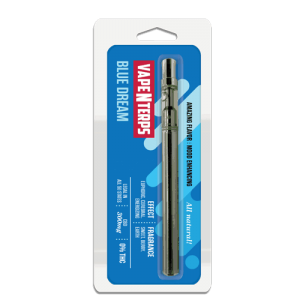 300mg Blue Dream CBD Vape Pen for $34.99! You may wonder what relates CBD to the hemp vs. cannabis debate. 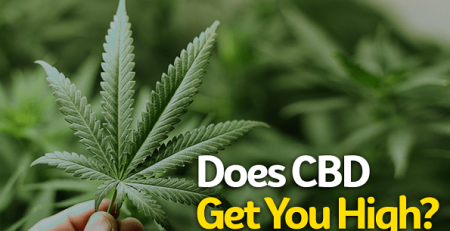 The truth is that CBD is contained in both subtypes of the plants and the concentrations vary only due to the breeding and crossing of various elements to produce the desired results. The only distinction between cannabis plants bred for their CBD production medical marijuana is the low level of THC usually below 0.3%. Another confusing part is that Hemp is high in CBD, but that does not make it the same as CBD oil. While hemp oil is cold pressed from cannabis seeds, CBD oil is extracted from the flowers of the cannabis plant. In reality, hemp oil contains but traces of CBD, but that does not make it any less valuable as a dietary supplement packing the rare 3:1 ratio of omega-6 to omega-3 fatty acids a perfect combination for a healthier brain and body. It prevents aging signs like wrinkles and reduces inflammation and tissue damage. As much as it does not occur naturally like so, it does not mean that there is no such thing as hemp oil infused with CBD. So if you insist on having your hemp oil with CBD, there are products out there that will solve your dilemma. This combination makes lots of sense since the duo work together providing relief and numerous benefits medical and dietary. People commonly mistake hemp for male marijuana plants. On the contrary, the plants are just like marijuana except they are bred to produce deficient THC levels. You can’t blame such people since industrial hem does share many traits with male cannabis plants. For instance, male cannabis plants will often give fewer THC levels than expected, and their uses dovetail the ones of industrial hemp. 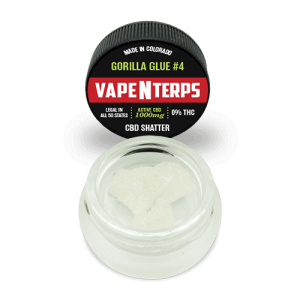 1000mg Gorilla Glue CBD Shatter for $54.99! Knowing what you know so far, you still might be wondering why it is so crucial that we can tell the difference between the two subtypes of marijuana. Other than growing where permissible of course, legalizing hemp makes perfect sense as the decision to criminalize it was illogical in the first place. Hemp can reclaim desert land and is an excellent plant to introduce to areas where aridity and desertification are setting in. Criminalizing marijuana was a political move to quench radicalism and people having too much of a good time and some somewhat unconventional ideas which are not good for the political atmosphere of the ruling parties. Like blind persons, other governments allied to the big fish quickly followed. It’s funny that they are all so reluctant to decriminalize the same herb after they have discovered the medicinal value of it vs. the toxicity of tobacco. At least, the awareness spreads on the non-psychoactive nature of hemp, more countries and states will legalize it and benefit from a good source of food and building material as well as biofuel. Hemp is the key to saving the world’s forest cover. Start by telling everyone you know of course, or if you are lucky to be among those who call the shots in your community, put forward a motion to legalize the hemp plant. Man’s place on this planet is to tame all the goodness of nature and use it to his advantage while preserving the surrounding for future generations. The creativity and healing power of cannabis combined with the high energy food from industrial hemp can help a man achieve just that. So write it on a timeline or something, like share retweet, ignorance might cause us to perish! Want to learn some more? Click here to read our article on Terpenes AND Hemp!